Owing to years of experience in the industry, we are into trading, supplying and exporting wide range of Maraging steel. They are durable in nature and are abrasion resistant. We offer them in varied thickness and sizes. We are amongst the leading names in the industry, offering highly durable range of Maraging Steel C 300 Sheet that are manufactured with utmost accuracy. Our entire product range is thermostatically balanced in nature and is a vacuum induction melted plus vacuum arc re-melted, low-carbon, nickel-cobalt-molybdenum high temperature alloy capable of attaining yield strengths in excess of 270 ksi (1862 MPa) through simple, low temperature heat treatment at 900°F (482°C). Maraging C300® exhibits good ductility at high strength levels. 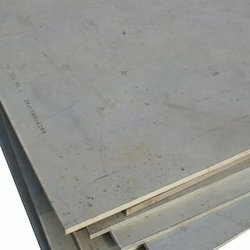 We deals with Maraging Steel 250 Sheets. These pipes are manufactured at the vendors' end with nitrogen strengthened austenitic stainless steel. The offered pipes have very good mechanical properties at both sub-zero and elevated temperatures. Moreover, customers can avail these pipes in 60 range. These sheets are fabricated with different steel grades such as extra deep draw, low carbon, mild steel and many more in compliance with defined industry standards at vendors’ end. In order to ensure unmatched quality, these sheets are also stringently tested on various quality parameters after procurement. We are amongst the leading names in the industry, offering wide range of Maraging Steel Bars that are manufactured with accuracy. Our entire product range is sturdy in construction and is durable in nature. We deliver them in varied grades and are delivered as per the exact preferences of our linnets. 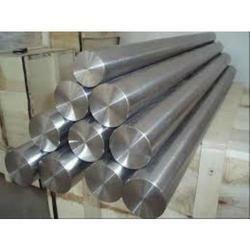 Maraging Steel Bars have high compressive strength. Enriched with vast industrial experience, we offer our clients varied range of Maraging Steel 250 Rod that is durable in nature and have high strength. Our entire product range is manufactured using quality assured raw components using latest technologies. They are sturdy in construction and delivered in varied grades. The varied qualities offered by these products make them ideal for sorting, facades, ceilings, lamps, shelves, shielding, stairs and many other applications. Maraging 300® (also referred to as Maraging C300® and Vascomax C300®) is a vacuum induction melted plus vacuum arc re-melted, low-carbon, nickel-cobalt-molybdenum high temperature alloy capable of attaining yield strengths in excess of 270 ksi (1862 MPa) through simple, low temperature heat treatment at 900°F (482°C).